You have to visit Illinois--specifically Chicago--sometime! I could never do more than one episode a week (just posted 1-20 last night). Take your time. I will be looking forward to the next one! I did the map too. 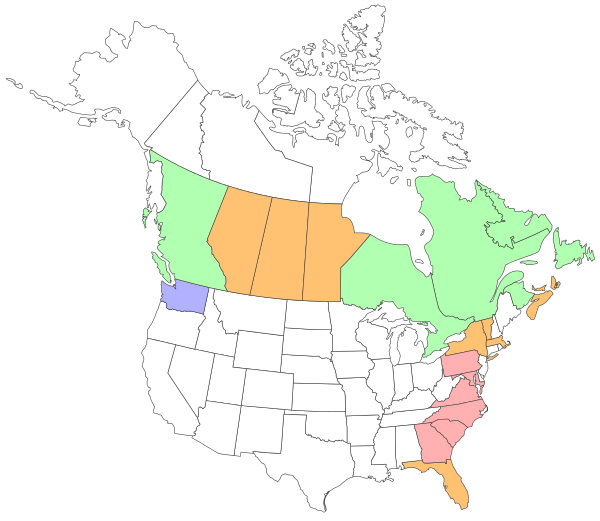 Since I was dragged from one end to the other of America from the time I was six, my map is almost all colored in.LOL I can even claim a bit of Canada as we went to the World's Fair in Montreal when I was four! (No, my Dad was not in the military. He had a want to live in every state - didn't get even close, but I saw more places before I was eighteen than most people see in their entire life. I am eagerly awaiting the re watch and read your first impressions of the new episodes every week. Work before play, I can wait -the anticipation makes it all the better. Wow, living in every state would be a hard thing to accomplish! Canada only has 10 provinces and 3 territories, but I've only managed to live in 4 of them so far (and am unlikely to live in more)! Mine made me realize I've been to every state west of the Mississippi in the continental US. Yay! Cool! Yeah, it's fun! They should do one for Europe... not that mine would be very filled out, mind. For having lived there for a year, I didn't venture too far.